Consider the prompt for five minutes. Who is speaking? What is the secret? Why won’t the character be able to tell the secret to anyone else? Write with abandon for 15 minutes. Anything goes. Seriously. 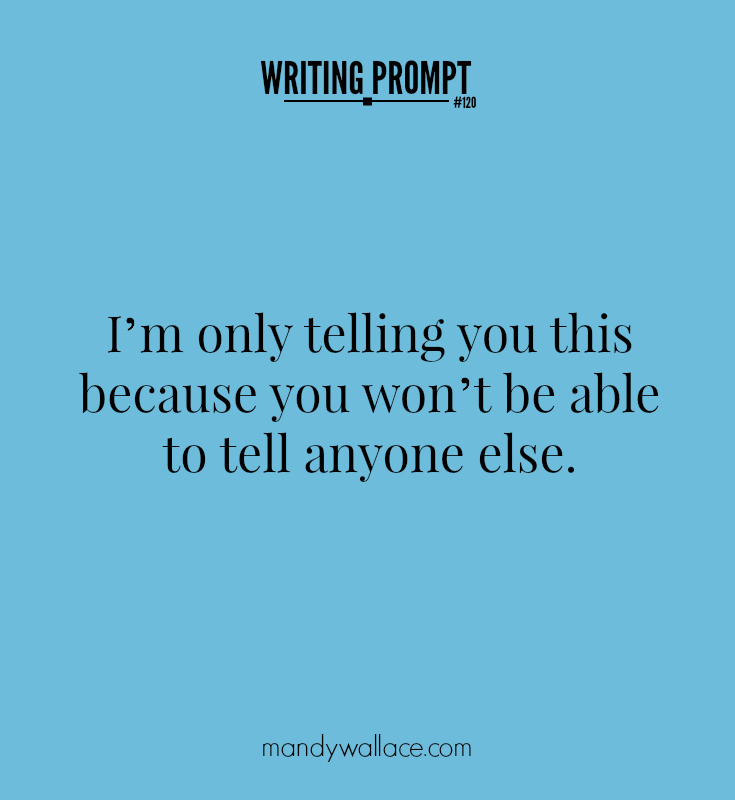 Share your story snippet in the comments (if you’re brave). Try these writing prompts on your WIP, and see what happens.